Last night I received the sweetest email from a reader of THE ALTERED I: MEMOIR OF JOSEPH KEMPLER, HOLOCAUST SURVIVOR, and I wanted to share it. I might add that Deb, the writer of the email, is also compiling her father’s memoirs into a book. Reading Deb’s words touched me to the heart. I feel sad that her father had to walk a similar path and endure all the horrible things Joseph did in order to survive, but I feel connected in some way by the shared memories of a father who went through the Holocaust. To ensure the information Joseph gave me was reliable and accurate I researched diligently, giving all I could to the task. I had to dig deep, so it is always reassuring, and validating when I get feedback saying exactly that! It isn’t that I wrote such an important story, it’s important information that must be related accurately. To speak the truth is a heavy responsibility for any writer of history, but to track down the facts is equally important for such a topic as the Holocaust. I never want room for doubt that the Holocaust didn’t happen. I hear often, and honestly it’s too often, how some young people today are being taught by their parents that the Holocaust is a myth, a legend, a fabrication. I struggle to understand this belief. So each time a young person has an opportunity to learn the truth, that is a victory. I encourage young people to read more memoirs of survivors. Not only of Holocaust survivors but read the memoirs of people who saved others who weren’t Jewish and could have been killed. Read the memoirs of soldiers who were there and witnessed it all. There are countless books written by people who were in the concentration camps, not only as prisoners-of-war, but as people who worked for the Nazis and who saw, and sometimes took part, in the atrocities taking place. Also, there were many others imprisoned in the concentration camps who weren’t Jewish but suffered alongside for their crimes against the state. Reading from various viewpoints and backgrounds will give a fuller understanding of that time and hopefully will substantiate that the Holocaust was real. I realize this is getting more rare, but when a Holocaust survivor visits a school a student should view this as an opportunity to ask their questions and get answers from the source. Joseph and I have some upcoming Holocaust presentation events where people, old and young alike, can meet him personally, (shake his hand!) speak to him and feel connected to that particular time in history. Yes, it’s a hard history, which none of us likes, and would rather didn’t happen, but it’s important to keep it fresh in our minds because it truly wasn’t that long ago. As time progresses and these survivors and soldiers who fought for their liberation die, so does the intensity of that event. My words seem inadequate so I will let the letter explain everything. I am reading the book you wrote about your father in law. This is unbelievable, the dates and journey your father in law took was the same as my dad. 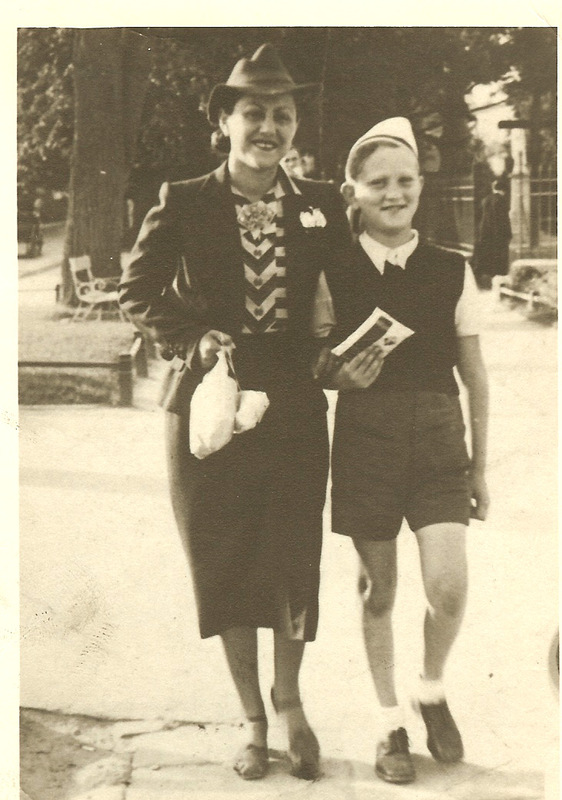 My dad was in ghetto in Boryslaw then forced labor then Plashow to Mathausen (dates match up with my father’s transport) to Melk, eventually to Ebensee where he was liberated. My dad met a soldier years later who liberated Ebensee. In 2007 to the date of his liberation I found his brother’s children. My dad believed his brother was killed in war. When his area was annexed to Russia his brother was drafted. The last my dad heard before he went to Plashow that his brother was severely wounded. After the war he contacted Russian military and there was no record of his brother. Can you believe the Russians changed the spelling of his first name by one letter and because of that he could not be found. My dad is going to be 90. He still plays tennis goes to gym a few times per week. You are telling a very important story. I am humbled by your dad’s experiences. Your book is unique in so far as your father in law acknowledged what he had to do to survive. People don’t talk about that. Very painful. I will finish his book probably tomorrow. 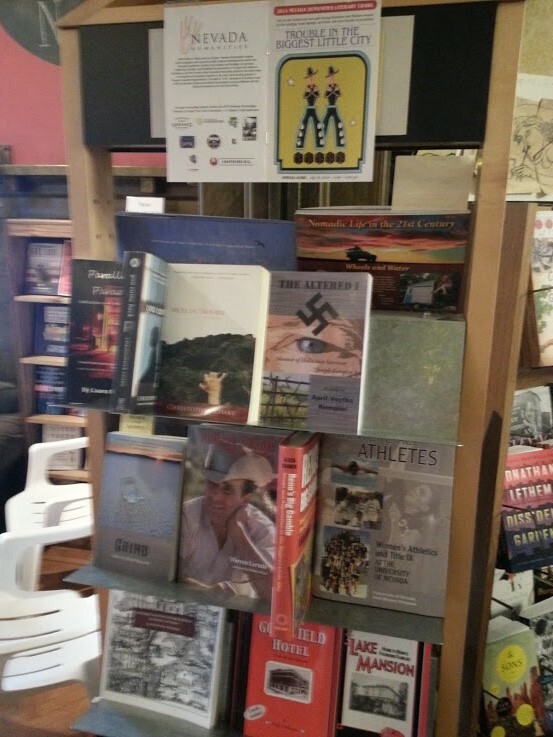 As always you can find your copy of THE ALTERED I: MEMOIR OF JOSEPH KEMPLER, HOLOCAUST SURVIVOR at Amazon.com in paperback and Kindle, Google Play Books, LeRue Press 775-356-1004, and announcing The United States Holocaust Memorial Museum store. Many people don’t realize that the stories of Holocaust survivors continued months and years after they were liberated from concentration camps. Many of these survivors, including prisoners of war, had no homes or families to return to. What happened to them? Millions were placed in what is called Displaced Persons camps. These institutions were difficult and challenging in themselves. Anti-Semitism still abounded. Living quarters were cramped with little privacy. Sometimes only a threadbare blanket separated individual families from each other. These close, and often unclean living conditions bred sickness. In addition to physical discomfort, there were the emotional and mental anxieties bearing down on the survivors weakened shoulders. This was termed survivor’s guilt. 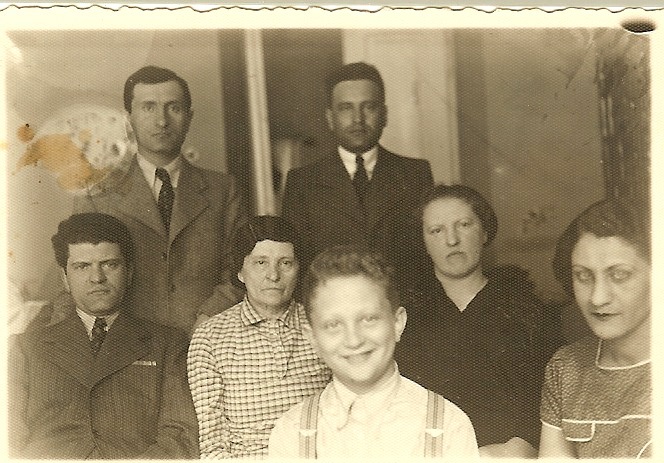 Some displaced persons, wishing for a reunion with their family members went so far as to fantasize against all evidence that one of their family members had survived and was still living, or perhaps waiting for them in another country overseas. This type of thinking never went away and many carried the burden of guilt until they died. Joe and I gave a Holocaust presentation yesterday at a local high school. This was challenging for me in several ways. Typically, Joe and I will go to a school, or library, or other venue at a specified time and speak for roughly an hour or two, followed by a question and answer session. I enjoy this sort of thing. I’m always nervous, but afterward we have a jolly time interacting with the audience. And the book sale and signing is always a boost. But, recently I was asked by a teacher if Joe and I could speak to each of her World History classes in one day. Soon, other teachers wanted their classes to join in the discussion. One thing led to another, the presentation grew and grew, and it turned into a big day. Joe and I arrived early in the morning (7:30 a.m.) at the Little Theater on the school campus, and gave the presentation to each class period, there were seven of them! Each class period was 50 minutes long with anywhere between 50 to 150 students in the audience. I had thirty-five minutes to give Joe’s life story before opening it up to questions from the students, and then a five minute break in between before doing the whole presentation over again. Over and over, seven times. What did I get myself into?! This was a bit more than I had anticipated, and I had never done this format before. Rising up early in the morning, making sure Joe had gotten up early, and making it to school on time for first period, was stressful in itself. Getting to school on time was never a goal I could reach for most of my school days, but now I had to do it with an 87-year-old Alzheimer’s patient. Thankfully, I had a team of great friends behind me. My husband Paul, was a stronghold for me. My team from LeRue Press, Kathy and Tanisha, who arrived early with over 500 sample chapters excerpted from the memoir THE ALTERED I: MEMOIR OF JOSEPH KEMPLER, HOLOCAUST SURVIVOR, and bookmarks, plus several copies of the book on hand in case anyone wanted to buy a copy on the spot (which several did!) The teacher who organized the whole affair was a doll, enthusiastic, helpful and generous. After the first three class periods I seemed to hit my stride and my focus. I wanted to convey a positive message to the students not just relate the sad events of Joe’s life. I wanted to show the students that they could stand up against peer pressure and racial prejudice and do the right thing despite the circumstances being intense. If Hitler were here would you forgive him? When was the first time you saw a dead body, and how did you feel? Would you take revenge if you could? What do you think? Insightful right? Despite a raging headache by the end of the school day, I felt relieved. Relieved it was over, but also happy with the students. They were quiet, respectful, and curious. After each class period there were several students who wanted their picture taken with Joe, or just to shake his hand. Some hugged him. It was adorable to see. Everything I had gone through emotionally and mentally in preparation for the presentation had been worth it for these students. I was glad Joe could do it too. I was concerned about him getting up early, (he fights it!) concerned about remembering his own history, concerned about his energy level, concerned about the kids understanding him, he is soft spoken, has a bit of an accent, and slurs his words more than he used to. My fears subsided as we got underway. Joe was a real partner. He was awesome. He only forgot what he wanted to say a couple of times and I was able to help him get on track and expand his thoughts. I most likely will never do another all day presentation again. It was relentless–wash, rinse, repeat. Some times I got lost in my thoughts and couldn’t remember if I had said this or that. Each time was a little different, but for the most part I was on track. Near the last period, Paul whispered to me, “Keep it fresh!” I really have a new appreciation for what teachers go through each day, and I’ve determined I’m kind of spoiled … but in a good way. I’ll be posting Paul’s thoughts on the day in a future post. It’s a wonderful essay and I can’t wait for you to read it!